Phyllostachys aurea ‘Flavescens-inversa’ – Very similar to the species P. aurea, with yellow grooves or sulcis. Similar in size and also makes a great, tall screen. 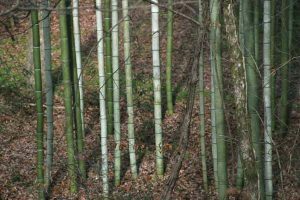 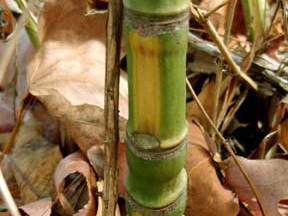 Phyllostachys bissetti ‘Dwarf’ – Dwarf David Bisset is the same as the species but somewhat smaller. 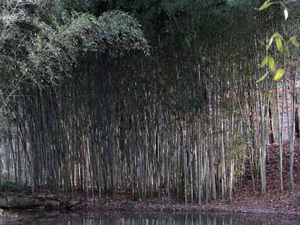 Like the species it makes a nice privacy screen. Phyllostachys nidularia – Big Node bamboo obviously has big nodes. 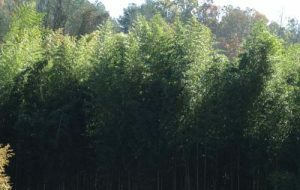 You can sort of see it in the picture but very distinct when looking at the grove. 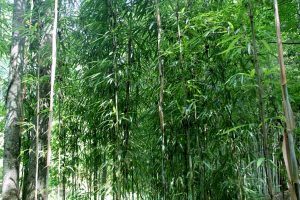 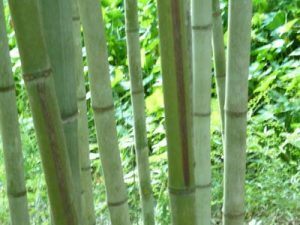 Phyllostachys nigra – Black bamboo This is one of my most popular bamboos. I guess the exotic look of the black canes plus the graceful grove it forms are part of the charm. 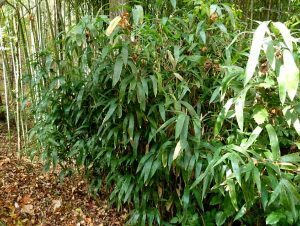 Phyllostachys nuda is considered the most cold hardy of these bamboos. 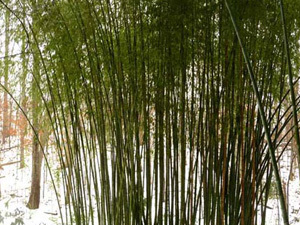 It can possibly handle temperatures down to -15 F or lower. 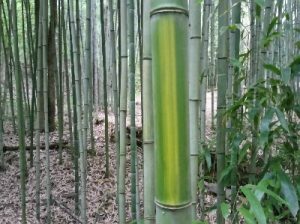 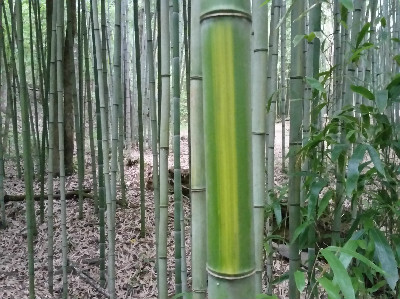 Phyllostachys viridis ‘Robert Young’ – Robert Young bamboo has giant, yellow canes with random green stripes, from narrow to wide. 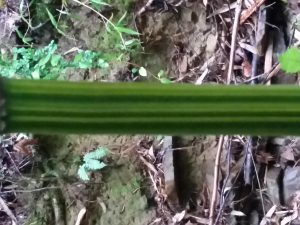 A true beauty with sinuous canes. 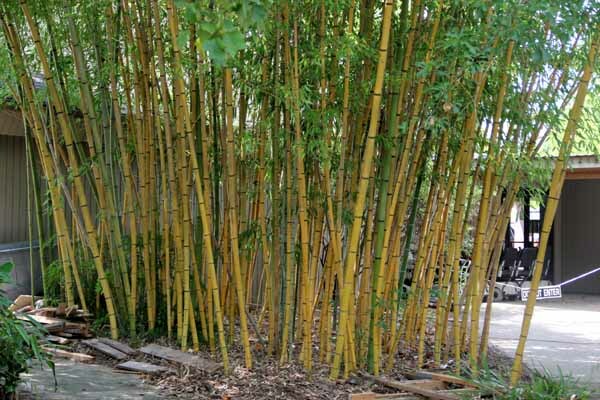 Psuedosasa amabilis – Tonkin cane has probably the highest quality wood. 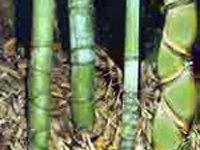 This is the cane used for traditional bamboo flyrods. 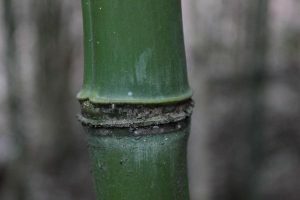 Very straight with non prominent nodes. 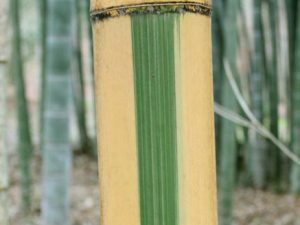 Psuedosasa jonica ‘Tsutsumiana’ – Green Onion bamboo has swollen internodes giving it the look of a green onion. It gets a little smaller than the species and makes an excellent screen. 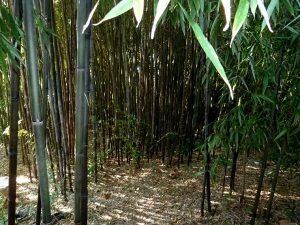 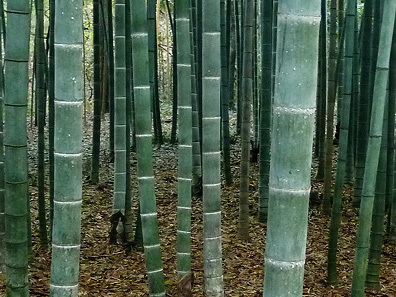 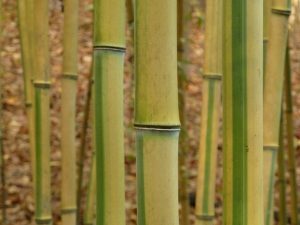 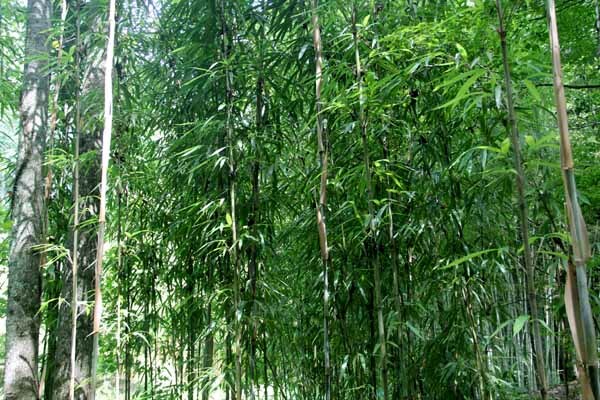 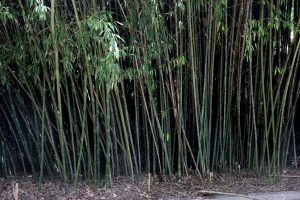 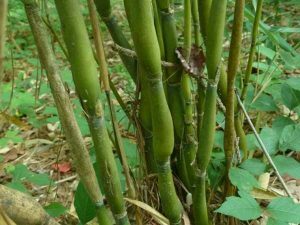 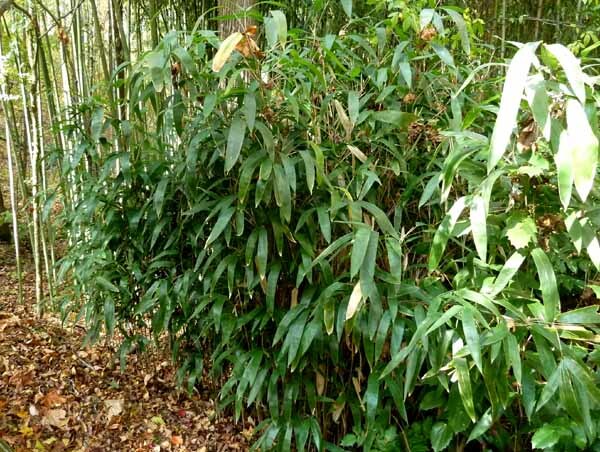 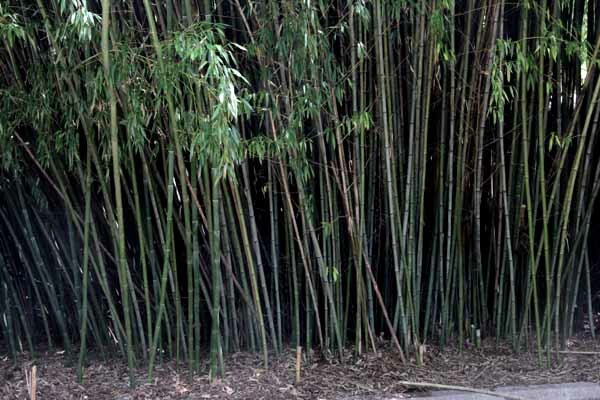 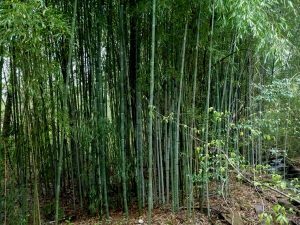 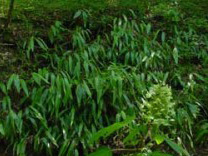 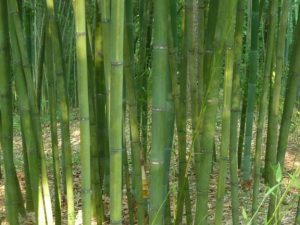 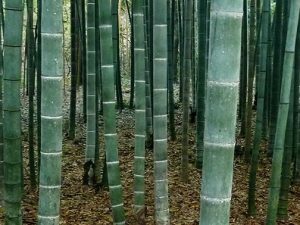 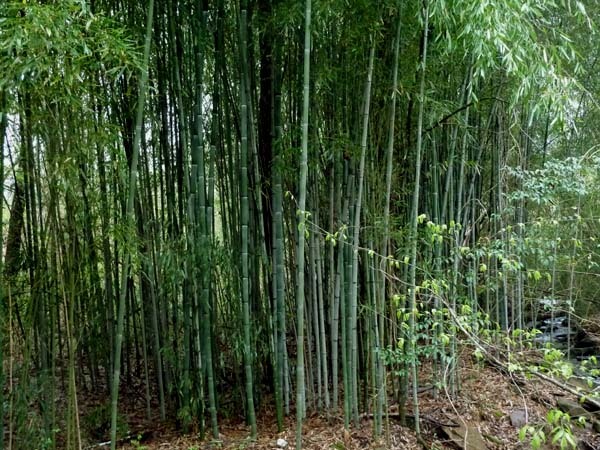 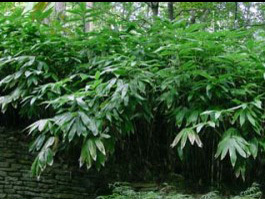 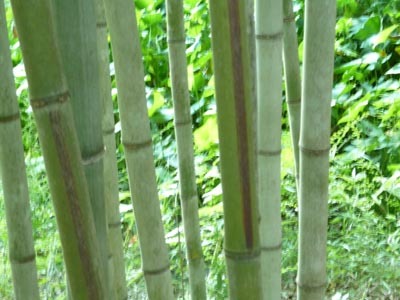 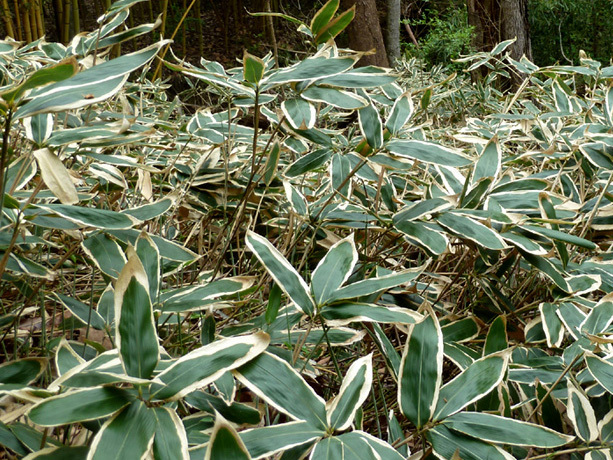 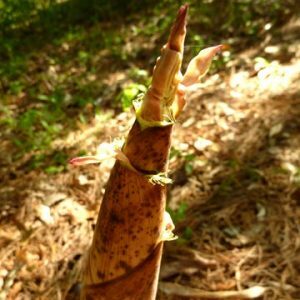 Sasa vetchii – Kuma-zasa is a short bamboo that grows well in the shade. 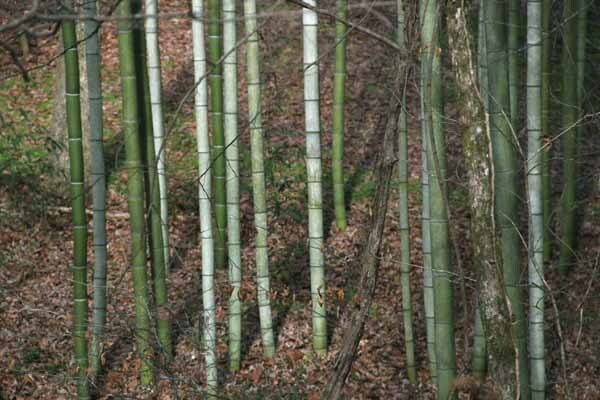 Each fall the new leaves turn white around the border. 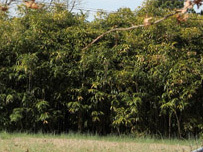 It is ideal for erosion control. 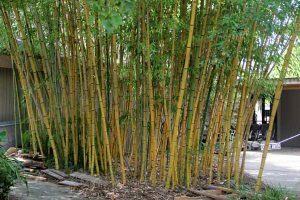 Semiarundinaria fastuosa – Temple Bamboo Very erect canes with short, stubby limbs near the top. Semi-persistent sheaths that have an iridescent, mother of pearl look.